MADEIRA’S MISSION IS MORE RELEVANT THAN EVER. 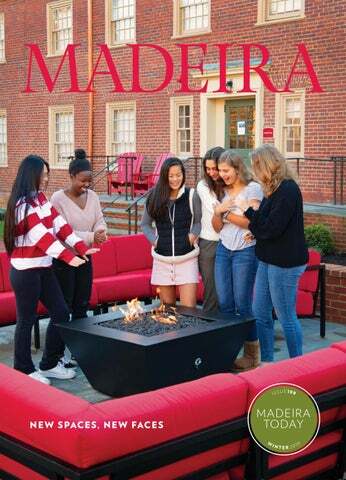 Madeira is boldly leading the way, educating girls to flourish in and out of the classroom. Our transformational education has lifelong impact. Madeira is a thriving place for girls to become their best selves. Our newly articulated teaching philosophy­— learning should be active, experiential, and joyful—neatly expresses what we want our girls to encounter. How are we measuring success? Our graduates continue to demonstrate that they are ready to thrive at a range of fine higher-educational institutions in this country and abroad. Scores in standardized tests (APs, SATs, ACTs) have remained consistently reflective of the academic rigor of our program. We are able to recruit and retain highly professional faculty who are excited to teach here. Senior exit interviews with each departing class consistently reveal that Madeira girls have a transformational experience and feel ready and well prepared to go onto the next stage of their lives. Miss Madeira’s school continues to thrive as an innovative leader in girls’ education. to come. Beyond the dorms, Madeira has no shortage of inspiring faculty and amazing students: Ethical hacking expert. International fencing champion. The Voice television show contestant. Model UN Outstanding Delegate. Keynote student presenter at the Department of Education’s National Private School Leadership Conference. Read about these and more in this issue. 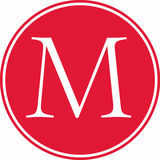 From stories of today’s Mod schedule to the renovated spaces of tomorrow, please enjoy Madeira Today. What is THE MOD Schedule? Today’s Madeira girls have never experienced anything other than the modular schedule. They take three classes during each five-week Mod, and are required to take part in an afternoon sport or activity each season. One Mod each year is reserved for a Co-Curriculum internship in grades 10–12. Each instructional block is awarded one credit. Three credits are equivalent to most full-year courses in a traditional schedule. The five-week blocks open up more elective options. Students might take a one-mod class that would not have fit in a traditional schedule. Popular examples include Forensic Science, Mindfulness and the Brain, Topics in STEAM, and The Art Museum. sional Development (PD) sessions in 2012, when the girls were on Co-Curriculum, the faculty discussed best practices in pedagogy and new ideas, but most were not possible within the constraints of traditional 45-minute class periods. Head of School Pilar Cabeza de Vaca challenged the faculty to think from a more student-centered perspective that included an immersive Co-Curriculum experience, reflected a healthy day, and made learning a vibrant, experiential process. The Mod schedule did just that. I was teaching in China when I first saw Madeiraâ&#x20AC;&#x2122;s mission of launching women who change the world. My then fivemonth old daughter was crawling around. I read the mission and then looked at her. I got really touched and started to tear up. I thought, man, I need to get myself there. My three years at Madeira have only strengthened my belief in the mission. I have long told our students that they are the School. Theirs is a fierce desire to know and to be heard, and I hear them. From my first moment at Madeira, I knew a great commitment had been made to stoke this fire inside. I bear the happy privilege of tending it. What brought me to Madeira and makes me feel appreciated and welcomed is the diversity of faculty and staff and the diversity of the student body. Madeira is such a welcoming and accepting community! Students, faculty, and staff come from different ethnic, cultural, political, and socioeconomic backgrounds, and they contribute equally to the well-being of our Madeira community. Madeira’s passionate and inspiring faculty includes teachers who have previously worked at some of the most prestigious schools in the country, some long-time Madeira veterans, and others who left Madeira for a time and have returned. We asked a few why they choose to be part of Madeira’s mission to develop young women who will change the world. 3 things drew me back. They were here when I started teaching at Madeira 15 years ago. 1. Fostering leadership in girls. Not just for the sake of the tagline, but allowing girls to dig into who they are and to feel comfortable with themselves. 2. Elite education without entitlement. To be aware that not everyone lives like we do. Many schools grapple with this challenge, but Madeira keeps its girls grounded. It’s one thing to talk about social justice, but another to work in support of a larger purpose. 3. Academic skills. Madeira blends age-old structures and traditions with innovative ideas. I chose to teach at Madeira because of its excellent reputation, and I thought it would be fun and interesting to teach at a girls’ school. I choose to stay at Madeira because I’ve discovered that I love teaching young women. At this point in my life, being middle aged and having raised my own two daughters, I have a lot to teach students beyond instruction in writing and literature. It’s highly rewarding to work with these inspiring young women as they develop their voices and grow into their full potential. I choose to teach at Madeira because of the students and the way that the School empowers young women. Madeira graduates are so impressive and are the future leaders of this world. It’s inspiring and such a great honor to teach here. I continue to teach at Madeira because of the community of people I have found here, both students and adults. The students are dedicated and want to learn and form relationships with adults and with each other. The adults want to support each other and Madeira’s mission, along with their desire to help students be their best, most thoughtful selves. And together, we all pitch in to take care of and look out for each other in this small community. A Madeira education helps a girl find her voice…and then use that voice to make an impact. By preparing students in the classroom at the same time as exposing them to real-world work, Madeira’s program builds confidence. A Madeira girl is confident in her abilities and courageous enough to make her voice heard. Even as high school students, Madeira girls are already living Madeira’s mission of women who change the world. We celebrate the many talents and accomplishments of our impressive student body. Madeira students don’t just read about history. They experience it. Influence it. Madeira students make history. “One of the goals we have at Madeira is that Co-Curriculum should not just be ‘Co’ but actually embedded with and part of a student’s regular curriculum,” notes History Teacher Larry Pratt. Here is how the course works. Juniors spend one five-week “module” interning on Capitol Hill, experiencing the US government firsthand. They take a US History course the same year. With these requirements in mind, the course seeks to (1) combine standard US history lessons with current events, analyzing how these lessons apply to the world today; (2) prepare the students for their Capitol Hill internships by teaching them about the government and how the legislative process works. In addition to learning about how the legislative process works, students must be prepared to participate in it. Before the internships, students choose an issue that is of strong interest, then seek to work with a representative who has a connection to that particular issue. By selecting their passion issue and learning about the legislative process of government beforehand, students are better prepared for their internships. Since they are working full-time for five weeks, they are able to take on substantive projects and come away with an experience not many other people, let alone teenagers, can boast. they’ve been working on,” Pratt explains. “Part of the requirement for the proposal is that it has to be an issue that the student’s representative would support. Even if the student disagrees with her representative on the political spectrum, she still has to anticipate the representative’s objections and tailor her solution so that it would be acceptable to the office.” UNIQUE EXPERIENCE. IMPRESSIVE RESUMÉ. By experiencing history firsthand, with front row seats on Capitol Hill for historic events, and an opportunity to impact policy, Madeira students graduate with solid resumes that rival those of college students. Combining traditional US history lessons with practical experience in the inner workings of the US government, a lengthy and substantive Capitol Hill internship, and a research project that calls for actual legislative proposals, makes Madeira’s history curriculum anything but average. students the same quality residential experience. The All the Difference Campaign donations to date have made the renovations possible in four of the five dorms. The renovations address the changing needs of today’s and tomorrow’s students, while preserving the character of yesterday. What was included in the renovations? Improvements to Madeira’s campus are not only seen, but truly felt by the entire community. Renovated Spaces Have Yielded More Students Improvements to Madeiraâ&#x20AC;&#x2122;s campus are highly visible, and they are having a direct impact on the perception of Madeira in the marketplace. Renovated spaces have yielded more students and top faculty. Modernization has improved our energy efficiency and reduced expenses. closely with our peer schools. Students consider Madeira to be a second home. use 30–50% less energy than a traditional tank system. In addition, the environmentallyfriendly geothermal system and energy-efficient windows have led directly to reduced expenses for the School. Geothermal system room. Renovated faculty apartments are perfect for families with children. have. And that’s the point. Madeira girls love their snacks! character of Miss Madeira’s iconic brick buildings while modernizing the interiors for the changing needs of today’s and tomorrow’s students. Enlarged spaces encourage bonding and social activities With more inviting and spacious areas, the renovated common rooms are enriching student life. They provide a home-like atmosphere where girls enjoy socializing, playing games, and watching movies. Modern Interiors Renovations include air conditioning, climate control, and plenty of outlets for today’s “connected” students. A comfortable room, with airconditioning, climate control, plenty of outlets, and endless possibilities for making memories and forming lifelong bonds. Modern bathrooms… much appreciated! The renovated bathrooms have sleek, modern fixtures. With new plumbing, girls now have consistent hot water and don’t have to deal with leaky faucets any longer! The dorm bathrooms have been completely renovated with sleek, modern fixtures. Maynard Quad provides a new space in the heart of campus. The new hangout spot Maynard Quad provides a wonderful place in the heart of campus for students to relax on red Adirondack chairs, warm up by the fire pit, and enjoy hanging out on the cozy couches. Maynard Quad has quickly become a favorite spot for club meetings and impromptu gatherings. and Possibilities With an unparalleled view of the Potomac River, Main Terrace is an incredible space. That view! Main Terrace has been a terrific addition. It takes advantage of Madeiraâ&#x20AC;&#x2122;s location and unparalleled view of the Potomac River and provides a fantastic hosting space. Iconic charm beautified The new hardscaping and landscaping around the Oval upgraded the most memorable part of campus without changing its essence. The iconic Oval remains the hub of campus. New hardscaping enhances iconic look of the Oval. Renovating the dorms and exterior spaces has attracted prospective students and top faculty, made the boarding experience more joyful, and made alumnae proud. Four dorms, the Oval, Main Terrace, and Maynard Quad have all been transformed. NOW... we need to finish the job by raising the funds to renovate North Dorm. Consider donating to the Campaign. Let’s give all of our students the same great experiences. The changes brought about through the generosity of our donors will shape the lives of girls for generations to come. The bonds and memories formed inside Madeira’s special buildings—home for a time to the girls who inhabit them—last a lifetime. Makes a Difference • Five have served on Madeira’s Board of Trustees • Seven sent their daughters to Madeira • One sent her granddaughter to Madeira CLASS WORKS TOGETHER IN DEVOTION TO EACH OTHER AND TO MADEIRA The Class of 1958 celebrated their 60th reunion this past year. Their yearbook was dedicated to Miss Maynard with a quote that read, “Her guidance, friendship, and inspiration, are those qualities on which we may reflect with deepest Louise Stillman Lehrman gratitude in the years to come.” As a class, the women have demonstrated these qualities over the years through their devotion to each other and to Madeira. Louise Stillman Lehrman, who serves on Madeira’s Board, says that it is not by accident that her classmates have stayed connected. She says two of her classmates, Joan Hulme Perera, who serves as class agent, and Leslie Meek Fitch as class secretary, have been the glue that have kept Joan Hulme Perera the class together. She credits their dedication and enthusiasm as the key to many of the Class of 1958’s successes. One such success is their convergence to raise money to renovate our dorms. Louise proposed a challenge to her class: she would match each gift 2:1 if they would pledge to the All the Difference Campaign to renovate the dorms and name South Dorm’s common room in honor of their class. The class successfully raised the funds. Leslie Meek Fitch Louise was inspired to give to the dorms and encourage her class to join her because, “Serving on the Board, I have witnessed the girls living in both the newly renovated dorms and the old, literally ORIGINAL dorms! Main, East, West, and South have been modernized to include air conditioning, community spaces, modernized plumbing, and electrical needs of the present. In order to continue to attract girls of the highest quality, Madeira needed to make these capital improvements. And now North Dorm is the only non-renovated dorm.” “Please everyone, participate in this effort, so that during the summer of 2019, North Dorm can join the others,” Louise adds. “And come to your reunions and see for yourself. You will be very proud of your old school on this and so many other fronts!” For over 60 years, these women have been committed to their class and to Madeira. The next time you are on campus, go see the plaque in the South Dorm common room dedicated to these amazing women. They are an inspiration to the School and to our community. CO-CURRICULUM PLACEMENT TO IMPROVE NATIONAL SECURITY Credits Madeira for Strong Computer Science Foundation and Building Confidence Talk about Madeira girls making an impact—Trudy Painter ’19 used her senior year Co-Curriculum placement at Johns Hopkins University Applied Physics Lab to improve national security! ence. The development I experienced in an all-girls environment helped me feel really confident in going beyond my school community. ST U DEN T H ACKS IN TO SYST E M One of Trudy’s responsibilities was to write a script that would fit onto a flash drive, which could hack into the navigation system when the drive was plugged into a computer. Trudy says that it was a very rewarding, albeit a somewhat unnerving experience. “I really enjoyed the project. Some days were hard because this was the first time I had done research independently, where nothing was very well documented. I definitely had to figure things out by myself that I hadn’t seen anywhere else. In the end, I’m proud that that my original work will be affecting national security. It is exhilarating to say that I improved ship navigation security. It was also a little scary because I was able to figure out how to hack into the system.” Trudy credits the Johns Hopkins lab with teaching her about systems that she wasn’t very familiar with before. “In relation to cybersecurity, I had only worked with IP addresses before this internship. Working with industrial protocol systems at Johns Hopkins, there are no IP addresses—it’s an entirely different world that I was not familiar with. It’s also very poorly documented and difficult to learn. It required a lot of patience—for example, I combed through entire manuals and source code in search of vulnerabilities. The experience taught me so much.” When Trudy began her internship, the project was in the experimental phase. Her full-time colleagues presented the team’s findings and were rewarded by becoming a fully-funded project, thanks in large part to Trudy’s contributions. Trudy has been an excellent computer science student at Madeira and has taken AP Computer Science, plus several STEAM classes, is President of the STEM Club, and on Madeira’s coding team. “All of these activities prepared me to be confident entering my internship,” she notes. Trudy’s projects at Madeira include: a waterproof shoe designed for children in developing countries that grows with the foot of the child; a robotic hand; a long-range RFID scanner with a custom printed circuit board rigged to steal key card information, which demonstrates vulnerabilities of the security system; and a web server Trudy built with salvaged parts. ATHLETIC S New Talent Powers Madeira Athletics Forward The Madeira Athletic Department began the fall season full of energy and excitement for our Snails to return to campus and to unveil the new additions to our Athletics staff. Certified Athletic Trainer Jon DiCandilo and Varsity Volleyball Head Coach Peter Bristotte entered the 2018–19 school year eager to contribute. Both value developing long lasting relationships. JO N DICAN DI LO, C E RTIF IE D ATHLE TIC TRAINE R Jon comes to Madeira with 20 years of experience in fitness and health education. Jon is a Certified Athletic Trainer (ATC) and Certified Strength and Conditioning Specialist (CSCS). Most recently, Jon worked in Japan with a professional men’s basketball team as their strength coach. Prior to that, Jon was the Head Athletic Trainer at The Hill School in Pennsylvania. Jon oversaw athletes participating in 31 varsity sports. Jon’s experience working with high school athletes has given him a strong understanding of athlete development and best practices to return to sport after injuries. Jon enjoys working with students in their lifelong pursuit of learning. When Jon isn’t helping Snails recover from injuries, he loves outdoor activities and nature. PE T E R BR I S TOTTE, VAR S I T Y VOL L EYBALL H EAD COACH Madeira also welcomed Peter Bristotte as our Varsity Volleyball Head Coach. Peter currently serves as Club Director and Elite coach for the Loudoun County volleyball program. Peter previously served as a professor in the physical education and sports department at the University of Campinas in Campinas, Brazil. Peter also coached with Sociedade Hipica de Campinas, a youth volleyball organization. Peter enjoys traveling, playing the piano, Crossfit, and making homemade bacon cheeseburgers. 40+ reproductions of some of their greatest paintings in this historical overview of the Hudson River School of landscape painting and the lives and works of artists Thomas Cole, Frederic Church, Asher Durand, Sanford Gifford, Albert Bierstadt, Jasper Cropsey, Worthington Whittredge, William Merritt Chase, Martin Johnson Heade, John Frederick Kensett, George Inness, and other American landscape painters who created a new and quintessentially Americanstyle of art in the early and mid-19th century. Inspired by the Hudson River Valley and the rugged wilderness of the Catskill Mountains, many of these artists ventured forth to capture unspoiled scenes of the American West, New England, or South America. Monica H. Kang, CEO of InnovatorsBox® thought she had it all: a purposeful career in nuclear nonproliferation, great friends and mentors, and a life in a city she loved. So why did she feel stuck? Rethink Creativity teaches you and your team how to start constructing a creative mindset by allocating time to change up your daily routine. It will help you rediscover the passion you felt your first day on the job! Not only will leaders and managers benefit from proven strategies, thoughtprovoking questions, and effective training techniques, but as you move through the book, you’ll start enjoying your work more, be a better leader, and find new ways to be creative, curious, and innovative every day. Mischa Abramavicius is a walking, talking, top-scoring, perfectly well-rounded college application in human form. So when she’s rejected not only by the Ivies, but her loathsome safety school, she is shocked and devastated. All the sacrifices her mother made to send her to prep school, the late nights cramming for tests, the blatantly résumé-padding extracurriculars (read: Students for Sober Driving) ... all that for nothing. As Mischa grapples with the prospect of an increasingly uncertain future, she questions how this could have happened in the first place. Is it possible that her transcript was hacked? With the help of her best friend and sometimes crush, Nate, and a group of eccentric techies known as “The Ophelia Syndicate,” Mischa launches an investigation that will shake the quiet community of Blanchard Prep to its stately brick foundations. In her sophomore novel, A. E. Kaplan cranks the humor to full blast, and takes a serious look at the extreme pressure of college admissions. New Faces Bring New Classes to the Arts Department Celebrating creativity in each student The arts department is growing and changing. Madeira welcomes four new teachers, each of whom brings a unique approach to creating art —from the classroom to the stage. Curriculum has been updated to incorporate more contemporary techniques and artists, and artistic core values were re-defined to transform and celebrate creativity in each student. ANN MILLER, VISUAL ARTS TEACHER Ann Miller, Visual Arts Teacher, is excited to be a full-time member of the arts department. Along with teaching sculpture, drawing, painting, and photography, Ms. Miller introduced a new Programming for the Visual Arts course. In this popular class, students learn coding skills and explore computer graphics to create interactive drawing programs. Unlike traditional drawing classes, more than half of the art for this course is drawn on a computer. K E L S E Y M E I K L E J O H N , T H E AT E R T E A C H E R After serving as Choreographer for the past six musicals, Kelsey Meiklejohn joins the theater program as our new Theater Teacher. Ms. Meiklejohn shares, “I’m excited to explore more opportunities for students to become leaders in the program, while building on the structure of the classes and productions to outline a pre-professional model of theater.” Ms. Meiklejohn completed her first show as Director with the fall production of Love’s Labour’s Lost. A DA L I A TO N N E YC K , PRODUCTION MANAGER Also joining the theater program this year as Production Manager is Adalia Tonneyck. Ms. Tonneyck has served as the Costume Designer for multiple Madeira shows over the last five years and is excited to bring her knowledge and love of all things technical theater to the program. Ms. Tonneyck is working with Arts Department Chair Sasha Newman to re-design the Stagecraft class, incorporating more contemporary female playwrights into the production design curriculum. CAPE ELIZABETH, MAINE­— AUGUST 2018 2. C L EVE L A N D, O H I O —O CTO B ER 2 018 HOSTED BY: Elinore Evans ’70 & Connie Norweb Abbey ’70 at the Holden Arboretum’s Murch Canopy Walk 1. John Rampe, Elinore Evans ’70, Paul Abbey, Connie Norweb Abbey ’70 2. Madeira guests enjoying a tour of The Holden Arboretum 3. Madeira alumnae & friends gathered at Connie & Paul Abbey’s home. Terry Meyer Prendergast ’73, Pilar Cabeza de Vaca, Joan Conklin Moody ’67 proudly hold the Madeira banner.